USB 3.0. 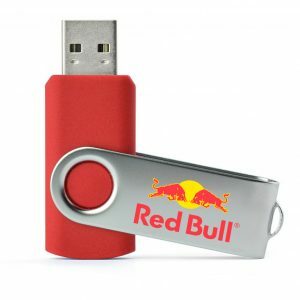 Does your promotional flash drive need to be faster? USB Flash Drives > USB Flash Drives > USB 3.0. Does your promotional flash drive need to be faster? When looking at our website you will see that many of our most popular USB stick models are offered in both USB 2.0 and USB 3.0. That means you can keep purchasing your favourite looking USB drive with but with superior USB memory. However, what is the difference between these two USB versions, and which is best for you? What does a USB 3.0 Memory Stick offer? USB 3.0 offers superior data transfer speed and higher efficiency for managing your data, however it does come at an additional cost so there are a few factors that you should consider before opting for the bigger and better USB 3.0 offering. It is faster. If speed is the aim of the game then USB 3.0 is what you are looking for. USB 2.0 transfers data at about 480mb, whereas USB 3.0 offers data transfer at about 4,800mb. That’s 10x the speed! However, if the USB port you are plugging your memory stick into is only USB 2.0, then data transfer can only happen at USB 2.0 speed. This is something to be aware of, although most modern computers will house a USB 3.0 input. It’s worth noting that USB 3.0 ports are backwards compatible. If you’re looking into USB 3.0 USB sticks because you’re worried that the USB 2.0 version won’t be compatible with your new super modern laptop or computer, don’t worry, your regular USB sticks will still work fine. USB 3.0 is not only faster, it also has a larger bandwidth. This allows for data to pass in both directions simultaneously. This is not possible with USB 2.0 where data can only pass in one direction at a time. It sounds obvious but it all depends on your needs. If you are dealing with transferring large files frequently, then we would recommend USB 3.0. It will be easier for both you and your clients to use, which will reflect positively on your brand and business. If you are using your memory sticks as free promotional handouts and only a few small files are needing to be uploaded, a USB 2.0 will more than serve its purpose and save the pennies. 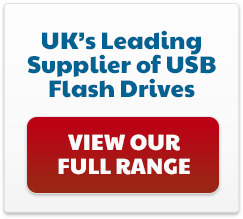 To view our full range of USB 3.0 memory stick models, visit our USB 3.0 webpage.